In this three-hour small group Shinto Tour, visit three famous Shinto Shrines in Tokyo with an expert and author of books dedicated to Shintoism—which many consider a way of life, rather than a religion of the Japanese people. Shinto began as a practice to honor and appease the deities and spirits of Japan. The ancient Japanese believed that by honoring these spirits, the number of natural disasters such as tsunamis, typhoons, floods and even volcanic eruptions could be reduced or prevented. This belief has driven the construction of over 100,000 independent shrines all over Japan, each enshrining a different spirit for worship. As legend has it, the spirits are more likely to be present at a shrine early in the morning. Therefore, the tour will begin at 8:50 AM. Guests will meet the guide at Harajuku Station before heading to Meiji-Jingu Shrine which is notably the most popular and most sacred Shinto Shrine in Tokyo—as the Emperor (the head priest of the Shinto Shrine)—is enshrined there. At Meiji-Jingu Shrine, learn the basics of Shintoism, how to purify yourself with water at the temizuya before meeting the diety, how to pray for good fortune, and why the 100 years of history and 100,000 trees planted at this shrine are so important to the people of Japan according to Shintoism. 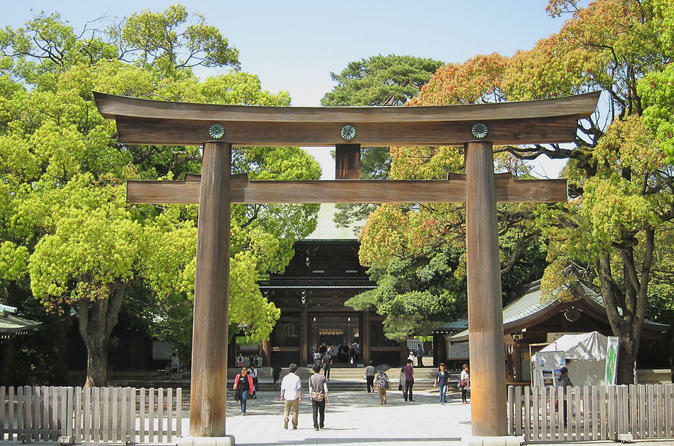 Guests will visit two other shrines after Meiji-Jingu. One shrine grants a good love life and marriage, where guests may learn the significance and story behind the traditional Japanese marriage ceremony, while the last shrine is known to attribute to business success and prosperity in pop culture (Japanese pop group, AKB48, traditionally visits this shrine every year, believing that their success is due to the deity and spirits that reside at this shrine). The tour will end at 12 PM. Add- on: The option of an add-on with Yanaka tour is also available at booking. Yanaka (谷中) is one of the few districts in Tokyo where the shitamachi atmosphere, an old town ambience reminiscent of Tokyo from past decades, still survives.